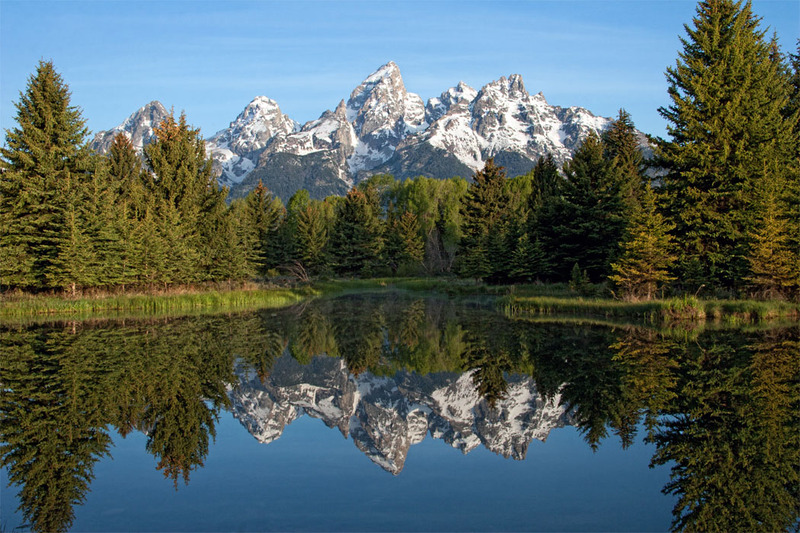 Nestled quietly inside the Grand Teton National Park, Schwabacher's Landing peacefully welcomes visitors to beautiful northwest Wyoming. The sparkling water, fed from the Snake River, reflects the noble majesty of the rugged Rocky Mountains. Set up in the dark, this photograph captures the serenity of the moment as the sun rose, while the light held the pristine warmth only found at dawn.